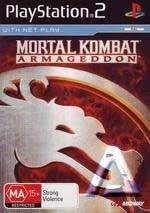 I love the Mortal Kombat series, since it’s inception way back in the dark ages of gaming. 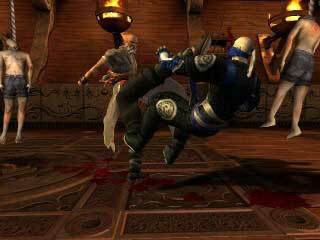 Each one in the series has been a lot of fun and I love the characters that you get to play as, though I do have a preference for the old skool ones such as Raiden, Subzero and Scorpion. This game didn’t let me down either with over 60 playable characters from the universe to fight as with tons of the gore and weaponry that you have come to expect from the title. As always the finishing moves are over the top and cartoony so even though initially your mouth will gape when you see them, eventually you do them just for fun! And after all, fun is what it’s all about, isn’t that right kids? The game starts with you being able to choose from a select group of fighters with more becoming available as you work your way through the title. This is a must fight for feature, however even if you didn’t you would be really impressed by what the game has to offer even initially. This is the sort of thing that I love the best about this series; fun characters, easy to pick up and play control system and over the top deaths. I do play other fighters for the sake of reviews and can tell a good fighting game when I play one, however Mortal Kombat has remained one of the few fighters that I will actually play for fun, it’s simply that good. Fighting arenas are well laid out and we also see a few of the fighting pits from the first few games all updated but still to the point you will remember playing in them if you are old enough. Chances are that many readers will not be however, for old timers it’s nice to see them back. Another cool feature in each battle are the death traps that inhabit the area. These traps are sometimes hidden and can actually totally end a round in a fight, so be sure if possible to make sure of your surroundings at all times! There is nothing more satisfying than forcing the round to finish by punching your opponent over the edge of a precipice, let me tell you! Death traps are one part of the game that you can control so if you find that you are not having fun with them, simply turn them off. I did often turn them off when playing online. Something that gave me a laugh in this game is the fact that whereas in the past you can unleash gruesome fatality moves to the vanquished, in this title, the fallen can actually finish themselves off in pretty terrible ways too, thereby taking away the pleasure of the kill by the victor. Trust Mortal Kombat to come up with something as twisted as that. So if you are pretty sure you are gonna get trounced, memorise your characters “suicide” move and take away some of the pleasure from the winner. 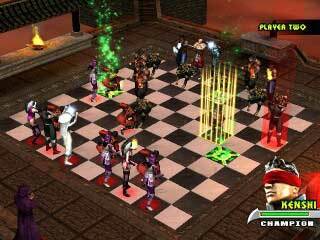 Gamers who want to play the extras in this game would be advised to undertake Konquest mode as soon as possible. It’s a bit dull however you will be able to unlock characters with things that you find in the game. It’s best for those who have never played MK before to also do this part of the adventure first to best understand all the little intricacies of your character. As always MK has come through with the goods as far as I am concerned, offering up tons of both single player, fighting with your mates or taking the battle online. If you like to have fun then this most certainly is a title that is suitable for you. Get it.